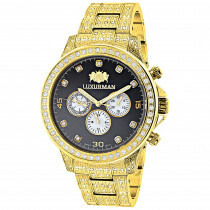 Genuine Diamond Watches For Men: This Limited Edition Mens Diamond Luxurman Liberty Watch features a reliable Swiss Quartz movement, classy design and 2 carats of sparkling diamonds. 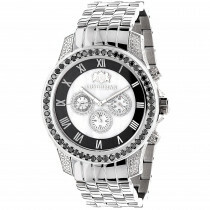 This mens diamond watch showcases a black dial with Date/Calendar/24 hours subdials, and a silver tone stainless steel band and comes in a retail box with two extra interchangeable straps in different colors (white and black) and full 5 year manufacturer's warranty. 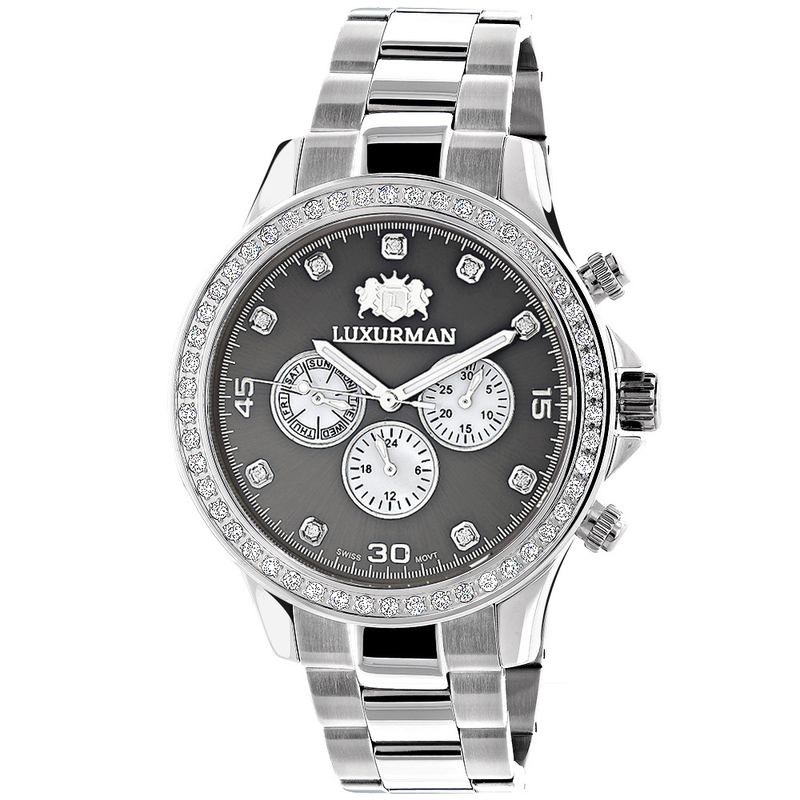 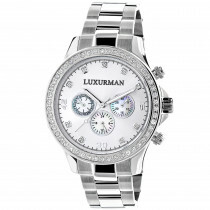 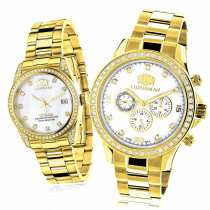 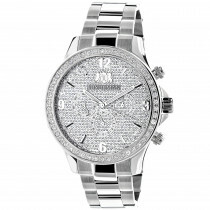 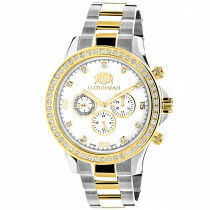 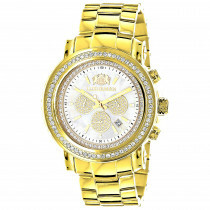 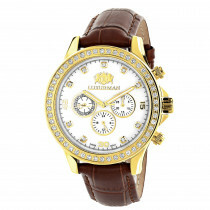 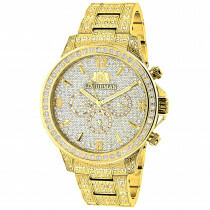 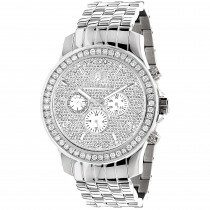 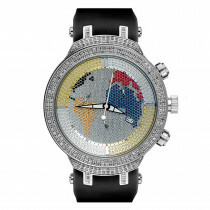 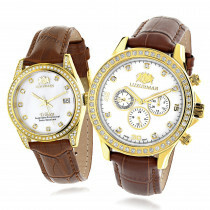 This Luxurman Diamond watch for men makes a perfect gift for any occasion. Don't want to take off my new diamond watch. 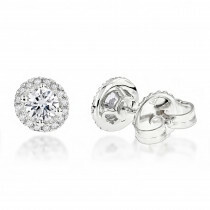 People constantly compliment it. 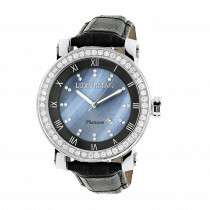 The diamond bezel really shines.